Similar to shoe molding, bamboo quarter round acts as a transition between the floor and the wall and is often used to cover up the expansion gaps at the perimeter of the flooring installation. It is often used in conjunction with baseboard. 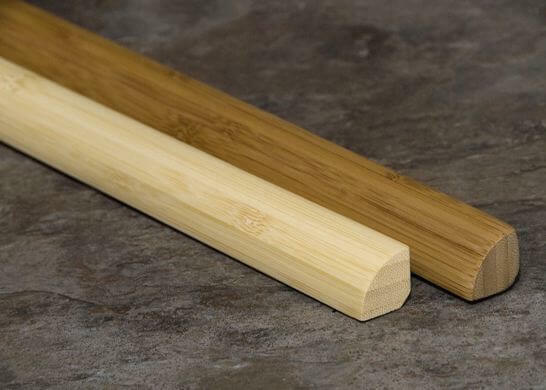 You can shop our full selection of bamboo quarter round on our bamboo moldings and trim shopping page.